A driver drove his 3.2-litre Audi TT for more than 130,000 km without any engine oil change. And this is how it looks like after it finally gave up. 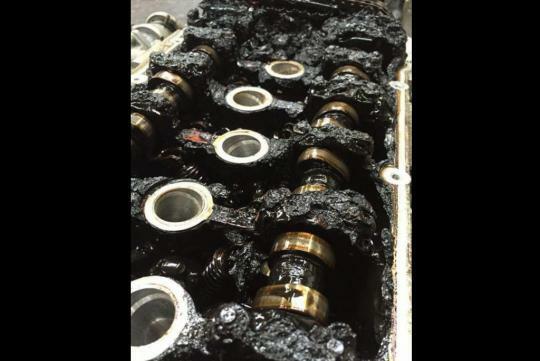 According to one of the users from the Audi TDI forum, a couple of pictures of the ruined engine were published in a post and the photos has since floated around the net. 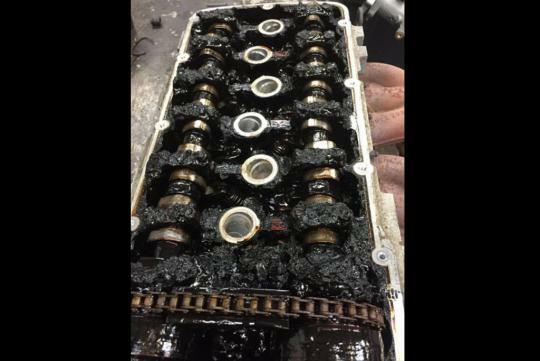 It is not known why the owner stopped changing the engine oil but it is almost a certain that the engine has to be replaced. For Audi TT owners out there who have the 3.2-litre VR6 engine which outputs around 246bhp, it should pretty comforting to know that your engine can take some real abuse! I agree, most likely he just top up the engine oil when the oil level went low. But surely the CEL must have lite up.